Our optometrists at Boardman Family Eye Care have been providing eye care services to Youngstown, Poland and Canfield for 27 years. We assess your eyesight for new prescription lenses or contacts and offer comprehensive eye exams to determine the overall health of your eyes. 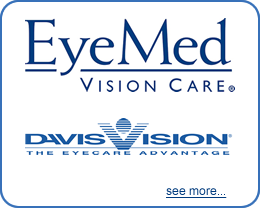 Our Eye Doctors are dedicated to providing the highest quality eye care services at affordable rates. At Boardman Family Eye Care our optometrists provide comprehensive eye care services including eye exams, contact lens fittings, eye disease testing and treatment and much more. If you live in Boardman or the Youngstown, OH area, call our office to set up an appointment or request an appointment online. Your eyes are for life. Our eye doctors take the time to get to know your eye care history and health. Our holistic approach to eye care ensures that you get the best possible care, advice and options for your vision needs. 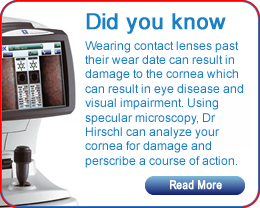 Dr Hirschl's philosophy on eyecare is to provide the most thorough eye examination utilizing technology. A more accurate assessment of a person's visual health is possible with the modern equipment he has in the practice. Patients appreciate and notice the equipment he uses during their exam. They feel confident they are receiving the most thorough eye exam. He always likes hearing at the end of the exam, "That was the best eye exam I've ever had." Our office is ADA compliant with a wheelchair accessible exam room. Patients can remain in their wheelchair for their entire exam. Free, ground floor parking, a wheelchair ramp and a completely accessible office makes for a more convenient visit. To find out how to get to our offices in Boardman, OH click here for Google Maps and directions. 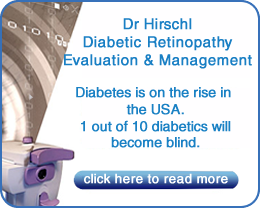 For diabetics, annual evaluations are a must to detect any form of diabetic retinopathy. A dilated fundus exam is very important as it allows me to perform a thorough evaluation of the part of the eye where retinopathy occurs. Our optometrists serve the communities of Boardman, Youngstown, Poland and Canfield.